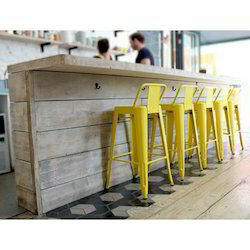 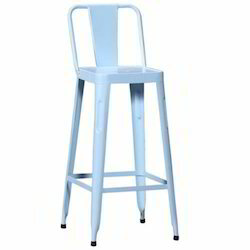 Our product range includes a wide range of industrial bar stool, industrial bar chair, industrial stool, bar stool, hv cafe bar stool and metal wood table. 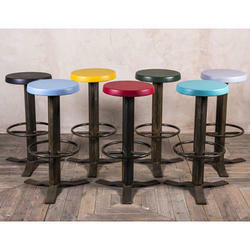 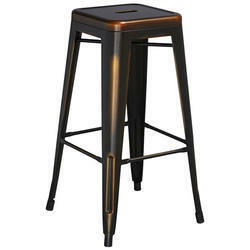 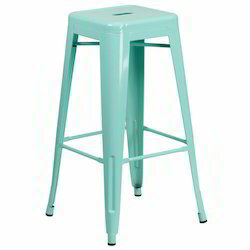 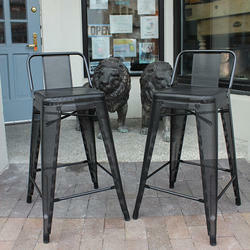 We are offering Metal Low Back Tolix Bar Stool. 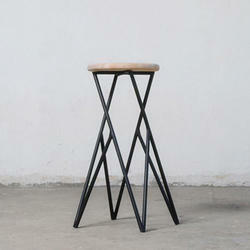 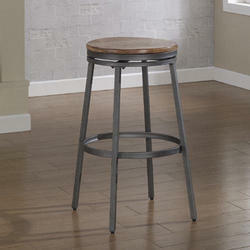 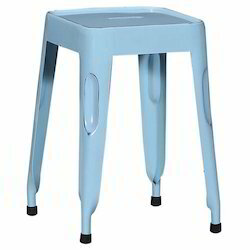 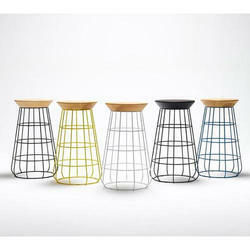 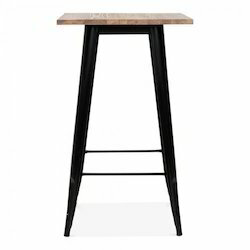 This stool features a sturdy metal base to remain balanced and flat, and a smooth wooden seat. 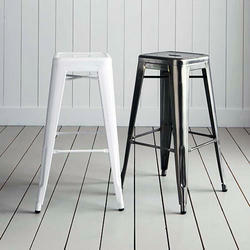 You can adjust its height to suit the worktop or table you are sitting at. 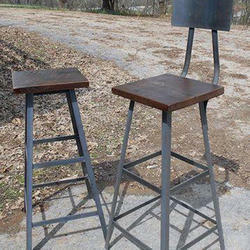 Made to order, any size with any wood type or color. 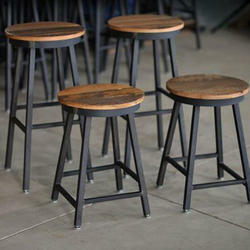 We have a limited amount of this type of wood,(Contact for Availability). 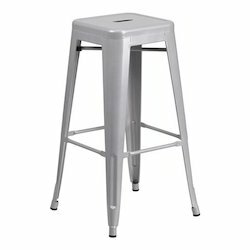 These are available with or without seat backs. 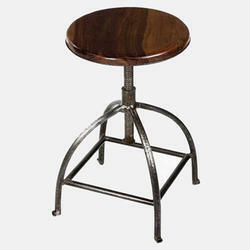 Consult with maker on large order sizes, these are made to order and we do not have any on stock. 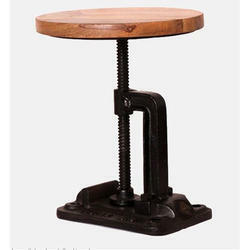 Completion times on large orders may vary from time-frames described in listing. 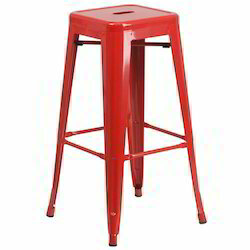 Size 15" x 15" x 30"
Made with a solid hardwood top just like our standard bar stool, but what separates this bar stool from our standard is the Powder Coated, reinforced Z frame steel base. 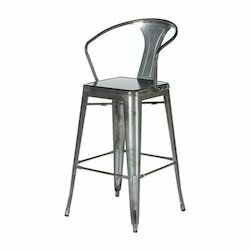 Made with commercial use in mind, this bar stool has been MIG welded, reinforced at the top and bottom of the Z frame for increased weight bearing, and powder coated in a matte black to resist decades of wear and tear. 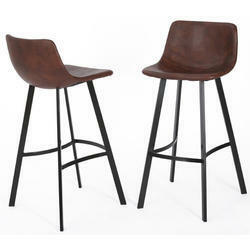 Suitable for use as a bar table or to bring a stylish touch to your outdoor setting. 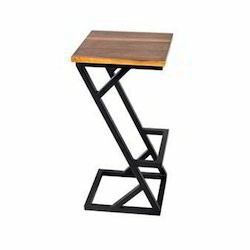 The Tolix Style Metal Table is an essential component to your home, garden or workplace. 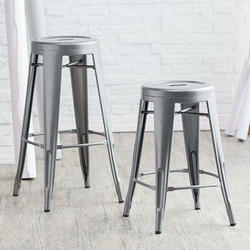 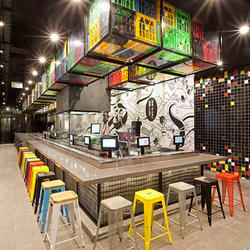 Looking for Commercial Stool ?